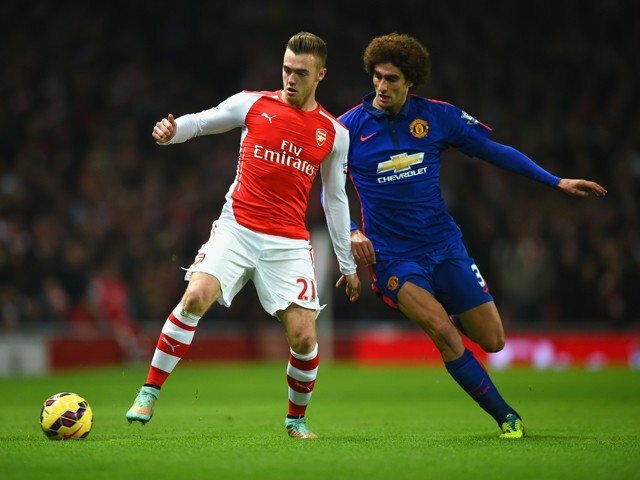 Home > Football > Man United Against Arsenal: What Did The Game Really Tell Us? 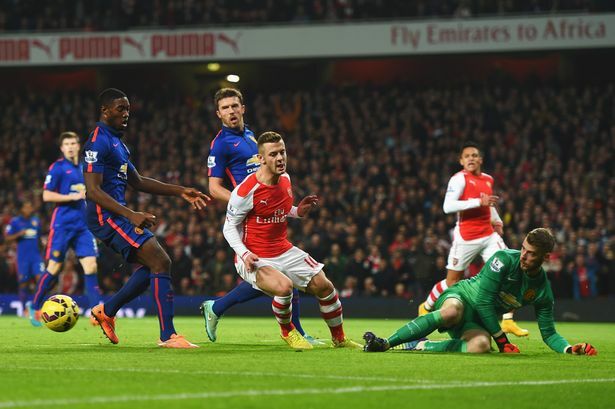 Man United Against Arsenal: What Did The Game Really Tell Us? Is Arsene Wenger guilty of the Gunners poor form? Manchester United’s 2-1 win over Arsenal was potentially a turning point in the season for both teams. United will now be on a high beating their direct rivals in the race to Champions League qualification considering that the bid for the title has now vanished due to Chelsea and Mourinho’s dominance. For Arsenal however this may be start of a series of events that could see head coach Arsene Wenger leave he club after eighteen years in charge. In a game that saw Manchester United win in the most unconvincing of manners and which saw Arsenal dominate in the most sterile fashion there are plenty of elements for the World in Sport team to examine. Is Wenger The Man To Blame? thinkthat the crucial moments came in the first half hour of the game where Arsenal should have arguably put the game to bed. The main reason for Arsenal not winning that game was that they could not finish. With that in mind is it fair to say that wenger is the to blame for his strikers not performing on the day? Everyone seems to be shaking their fingers at Jack Wilshere who missed an open goal and who has no excuses for not putting his team ahead, however he is not the only man to be held accountable for Arsenal’s off shooting. Jack Wilshere was guilty of missing Arsenal’s biggest chance of the match. Danny Welbeck who was facing his boyhood club for the first time since his 16 million summer signing was also guilty of missing clear-cut chances. The most startling perhaps was the header after 7 minutes where the Arsenal striker was unmarked and unchallenged but blasted over from 8 yards or even when after 5 minutes he scuffed a perfect through ball from Oxlade Chamberlain which was blocked by Paddy McNAir. Wenger got his tactics wrong yes, with so much of the game left he should not have pushed his team up so far allowing the United fast break and Rooney’s goal; it is my belief however that the performance of his players forced him into such a decision, when nothing seems to be working after such a clearly dominating performance then all you can do is throw bodies forward. Wenger will have to share his part of the blame but he is not the sole responsible for Arsenals poor form this year, people are drawing examples that he can’t see out a game quoting the Anderlecht 3-3 draw, but is it too much to expect that a team with players of Arsenal’s caliber cannot see out a 3 nil lead out? I think a lot of the blame attributed to Arsenals poor form must be taken up by its own players. Even though Man United won the match, I don’t think even United fans will be able to deny that they were lucky and that back four was leaking Arsenal attacks left right and center. 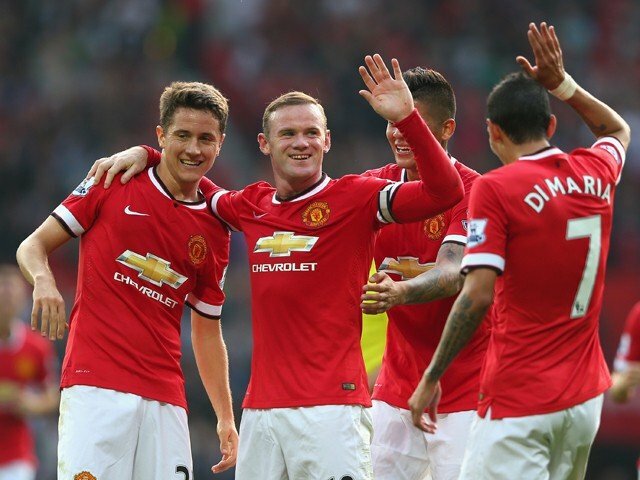 It was the 18th different Manchester United defence combination used by Louis Van Gaal this season. Luke Shaw, Tyler Blackett, Chris Smalling, Paddy McNair and Antonio Valencia, none of those names reflect top class defenders or even inspire a trace of serenity. Luke Shaw who has been coming into form was the only person who had any idea of what he was doing in the first 10 minutes. Unfortunately for United their best defender went off injured after 15 minutes, and left a huge gap in the defence. The worst defender on the pitch was Tyler Blackett who was time and time again beaten by Oxlade Chamberlain, who incidentally was superb, and let Arsenal’s right hand side put pressure on United throughout the game. If it was not for David de Gea who I have praised before then United would have been dead and buried. Van Gaal must sign an experienced centre half in January if United want to seriously envisage qualify for the Champions League. The fact is that United so far against the top six teams of last year not having played Liverpool and Tottenham have registered two wins against Everton and Arsenal, a draw agaist Chelsea and a loss against Man City and all of this achieved with a defence that has a huge question mark hanging over itself. It was poor Arsenal attacking more than good United defending that beat Arsenal, I feel that the game would have had a very different scoreline had the Gunners got on the scoreline early. Manchester United’s injuries have highlighted that the depth of their squad simply is not good enough for them to challenge at the highest level. entirety of that game, he covered every blade of grass, scored the winning goal and changed positions more times than any other player to ensure the win. His efforts are so commendable and he is showing everyone what a truly fantastic player he is, especially when he is scoring goals. With Falcao injured and Van Persie not performing, the goal scoring responsibilities now fall on Wayne Rooney’s shoulders, the England striker proved in the 09/10 season that when up front he could deliver the goods and I think that Rooneys best position is striker; Van Gaal must find the courage to pick the best players not only on form but also based on their best positions, for example is Rooney better than Van Persie at the moment in attack? Is Mata better than Rooney at number 10. For United to get the best out of their team then the payers must play in their best position. 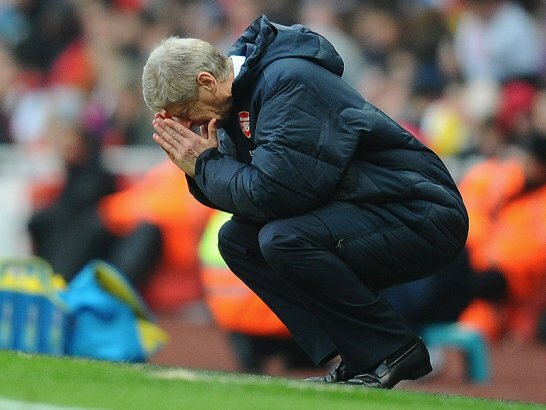 Arsene Wenger will undoubtedly come under a lot of fire this week due to his teams poor performances recently. The idea of Wenger getting sacked is one that personally I cannot see in the immediate future but one that is perhaps just lurking at the end of this season. The problem now is that Arsenal are in a difficult position in the Champions League as they will surely come second to Dortmund in their group and are struggling in the Premiership. Wenger must find the short-term solution to string a couple of wins together whilst he bids his time to January where he can make significant additions to his team particularly and similarly to Man United in the defensive areas. People are making a much bigger deal then what the situation is, Arsenal are seventh in the league, two points of fourth, there is a long way to the season and particularly the teams above them aren’t teams that can be seen as viable contenders for Champions League, mainly Newcastle and Southampton. The first step in my opinion is to calm everyone down and manage to find a solid base o which Arsenal can build. Having said that Arsenal and Wenger must now be very careful, if they fail to bring in the right players in January it may be an early ‘divorce’ as Piers Morgan puts it, between the London club and their French manager.